First associated with Edward Stratford in the 1600s, the estate was then owned by the Gardiner family up to 1778. Stroud UDC bought the house in 1935, and some ofthe estate. 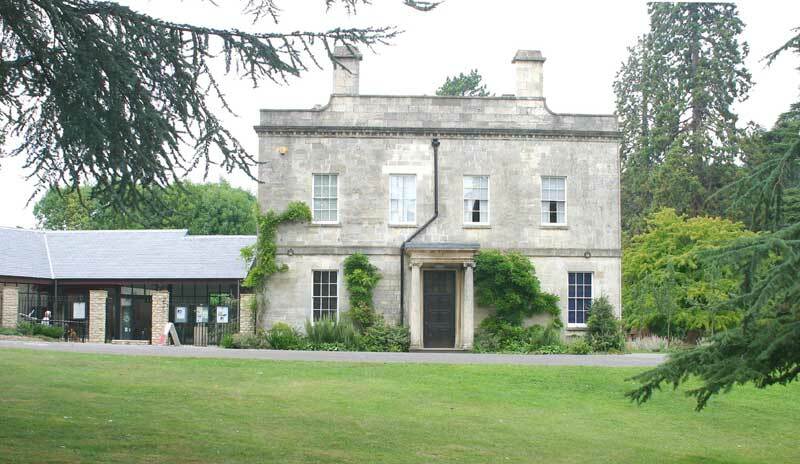 It is now a public park with leisure facilities and the house is the Stroud museum. This estate on the edge of Stroud belonged to the Gardner family from 1653 until 1778, and part of their house survives at the back of the present building. Inside, a chimneypiece bears the initials GG (for Giles Gardner) and the date, 1674. One Sunday morning, when the coffined remains of Mrs. Gardner (who had died a few days earlier), were lying alone in her chamber, the female servants in charge of the house were startled by the ringing of the bell in her room. Terror prevented their attempting to answer the summons until the other servants returned from church. When they summoned the courage to go to Mrs. Gardner's room, they discovered that an owl had come down the chimney, and in flying about had entangled its claws in the bellwire and caused the alarm. In 1778, however, Sarah Gardner bequeathed the house to James Winchcombe of Bownham Park, Rodborough. He died in 1780, but his son Nathaniel was responsible for rebuilding Stratford Park before he sold the property in 1802. The new house was almost certainly built to the design of Anthony Keck, who had earlier made alterations to Bownham Park and was at the height of his career. His new block was of seven by four bays, and three storeys. From 1819, it belonged to Joseph Watts, the proprietor of Stroud Brewery, and on his death in 1855, his grandson Joseph Watts Hallewell inherited it and lived here until his death in 1891. At some point after that, the top storey of the house was removed, but it is not known when this was done. Stroud Urban District Council acquired Stratford Park in 1935, and the grounds were developed as a public park. An outdoor swimming pool and other facilities were built in 1937, and a leisure centre with indoor pool and sports halls was opened in 1971. The mansion was let for some years to the Anglican Community of the Glorious Ascension in the 1960s, but in 2001, it reopened as the Museum in the Park. Stroud Museum was founded by William Cowle in the late 19th century and until 1992, was located in Lansdown. A successful bid was made to the Heritage Lottery Fund for £1.8 million to meet the cost of conversion, and of building a new wing to provide a reception area and temporary exhibition space. The walled garden is being restored (2016).